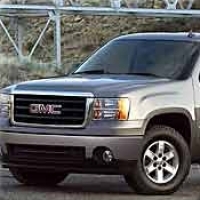 Our leather seat covers or vinyl seat covers are certain to make your GMC a more luxurious and comfortable. Our most popular item in this category is our GMC Sierra Seat Covers and we've had thousands of happy customers since 2009. Why pay thousands more at the dealership for their leather seats when you can just get our leather seat covers for your GMC for tons cheaper? 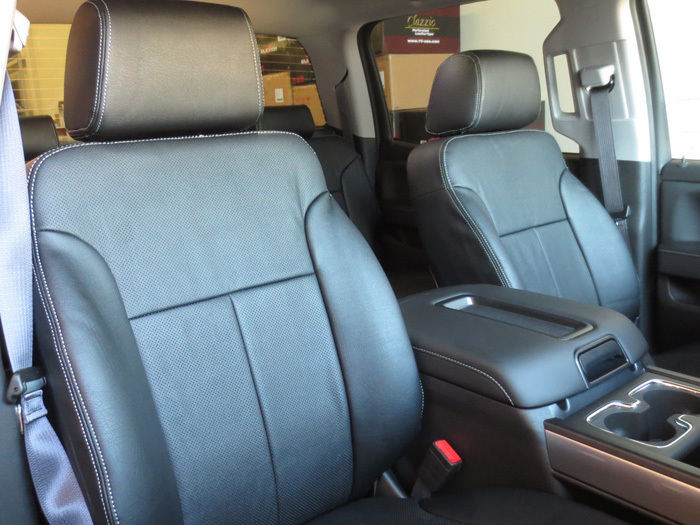 These seat covers are a great way to improve the feel and luxury of your GMC Sierra truck. Made of high quality materials and double stitched for durability, your passengers will never know that these are just seat covers. They'll think you paid the thousands extra that the dealerships charge to install the OEM leather seats. Need we say more? Go ahead and pick your GMC truck's model above to get an order started and feel free to contact us if you have any questions. Our seat covers are perfect for anyone with a truck. Save hundreds and sometimes thousands by installing our seat covers instead of a pricy dealer option. I have only had these for a few weeks now. I absolutely like them. Took some time to put on but the after look is great. I can't tell you how long they will hold up but from looking at them and installing them, I feel like they will last a long time. I am happy I went with these instead of cheaper ones at like Canadian tire etc. The seats look like new after installing these. I custom ordered a set of the Black outer/ Grey inner leather seat covers for my 2013 F150 XLT Screw. They arrived in just over 4 weeks. Installation was tough but well worth it, they look great and are great quality. I don't know how they sell these covers for such a great price. They look amazing! Even though it took a long time to get the product is was worth the wait. They didnt even look like seat covers from how well they fit..
Perforated tan leather seating areas, black bolsters, and orange stitching all around! A great look, a great fit, great instructions (with an occasional quirky translation mistake), an easy Sunday morning project! Well worth the money, fully customizable order, for a custom look. Delivery time is relatively short sonsidering the product is hand-sown and handmade. Wow, what a great upgrade! 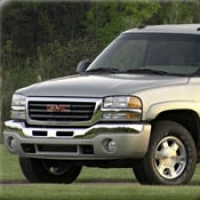 Read more GMC Sierra Seat Cover reviews & other GMC Seat Cover reviews here. These look great - I want to get my GMC Sierra some seat covers. What else? As you browse our GMC seat cover catalog, you'll notice that we have seat covers listed for select series and years GMC trucks. Unfortunately, we only have seat covers to fit these specific patterns since our seat covers are 100% application specific and measured directly for the seat of your GMC. If you do see your GMC truck listed above, then you are one step closer to hooking it up with a high quality set of seat covers, available in normal single tone colors to match your interior or in custom two-tone setups with a custom stitching color (if desired). 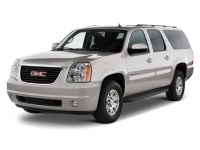 You'll also notice that we offer Free Shipping on all GMC Seat Covers shipped in the continental USA and provide a warranty with all seat covers. We've been dealing these seat covers for GMC trucks since 2009 and have enjoyed making GMC truck owners enjoy their truck with more comfort and personalization. To get an order started, you can check out through our easy to use online store by picking your truck above and selecting the options you want for it. We will contact you after an order is made for your GMC seat covers and verify if we have your setup already in stock or if it needs to be custom made. You can also contact us directly via phone or e-mail to get an order started. Why do I need seat covers on my GMC Sierra? 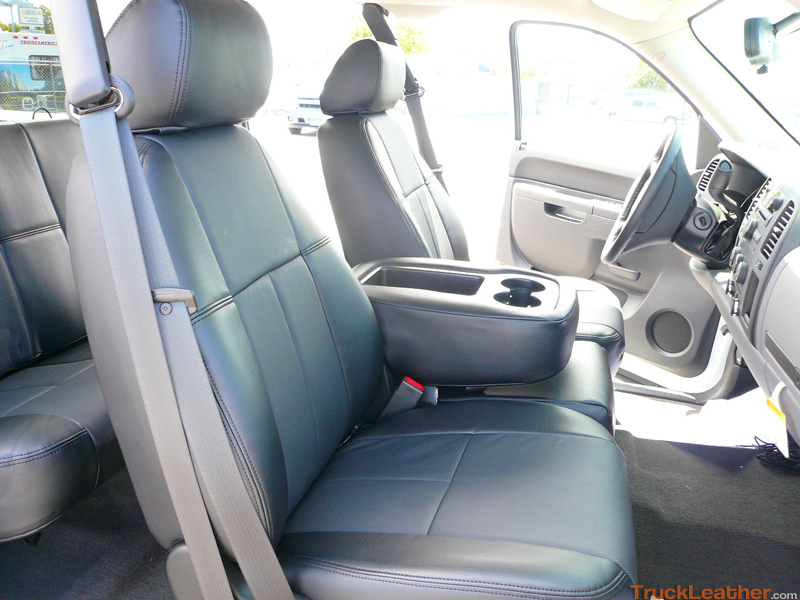 Order your GMC Seat Covers today and enjoy your interior for years to come. Choose your model above to get started.